Helps you make your own bread at home. This title is also about tempting breadsticks and crackers, seasoned with many different aromas, tasty and fragrant focaccia, plain or flavoured, and delicious pizzas, from the classic ones to the newer versions, created by combining products of excellence. short_descriptionHelps you make your own bread at home. This title is also about tempting breadsticks and crackers, seasoned with many different aromas, tasty and fragrant focaccia, plain or flavoured, and delicious pizzas, from the classic ones to the newer versions, created by combining products of excellence. long_descriptionHelps you make your own bread at home. 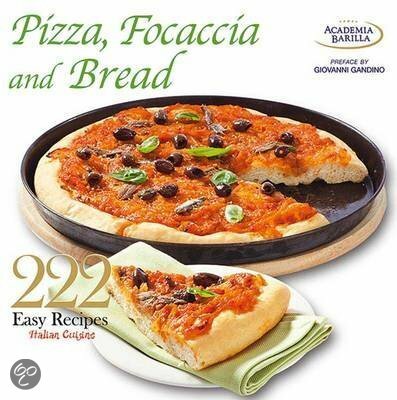 This title is also about tempting breadsticks and crackers, seasoned with many different aromas, tasty and fragrant focaccia, plain or flavoured, and delicious pizzas, from the classic ones to the newer versions, created by combining products of excellence.